In Colorado, what starts out as a regular rain storm, may turn into a full blown hail storm faster than you can react. Not only does hail cause major property damage to your residences and vehicles, but your gardens suffer, too! 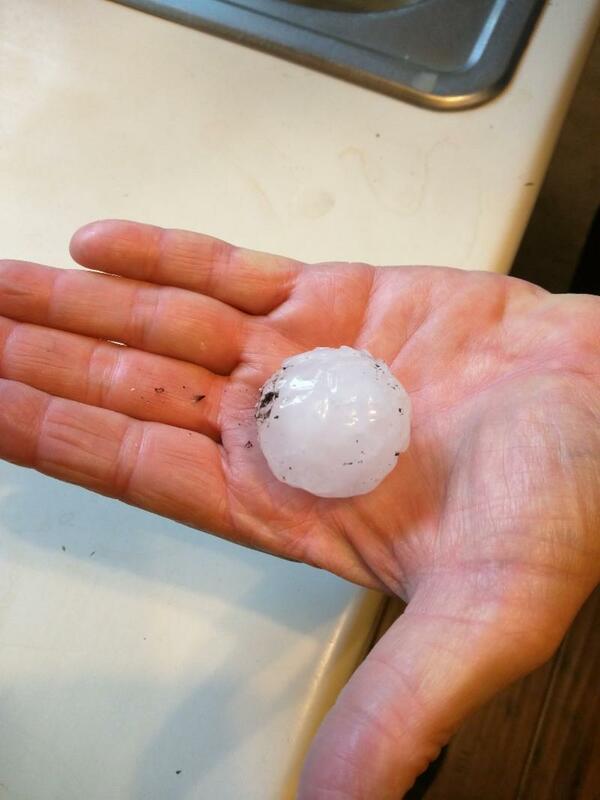 ﻿<-- Golf Ball sized hail; picture from the Mid-June hail storm in Centennial. The bigger the hail, the faster it falls, the worse off us ground dwellers and our property will fare. "Terminal velocity of hail, or the speed at which hail is falling when it strikes the ground, varies. It is estimated that a hailstone of ... 0.39 in in diameter falls at a rate of ... 20 mph, while stones the size of ... 3.1 in in diameter fall at a rate of ... 110 mph." (2018). Hail happens, so what can you do about it? Invest in hail resistant plants! “Hail.” Wikipedia, Wikimedia Foundation, 23 July 2018, en.wikipedia.org/wiki/Hail#Size_and_terminal_velocity. Agents, CSU Hort. “What the Hail!? Plants That Stood Up to the Ice Bombs.” CO-Horts, 11 Aug. 2013, csuhort.blogspot.com/2013/08/what-hail-plants-that-stood-up-to-ice.html.